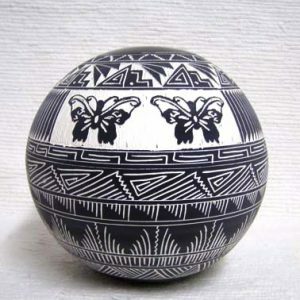 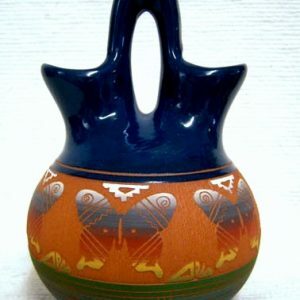 This low pot with its traditional-etched patterns is a called a squat pot for its shape. 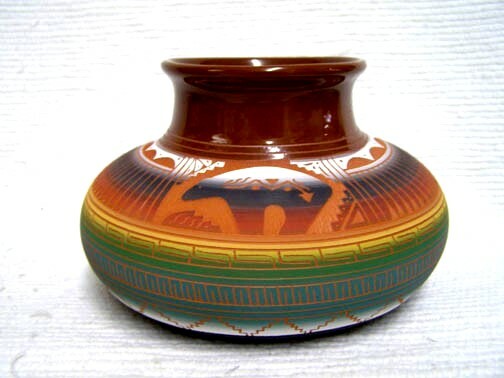 A great piece of Navajo etched pottery which features a spirit bear. 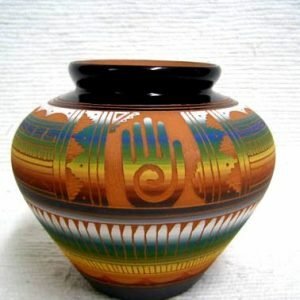 This pot is NOT glazed inside and cannot hold liquid. 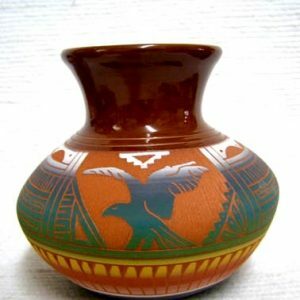 This pot measures 4.5 inches tall x 7 inches in diameter.